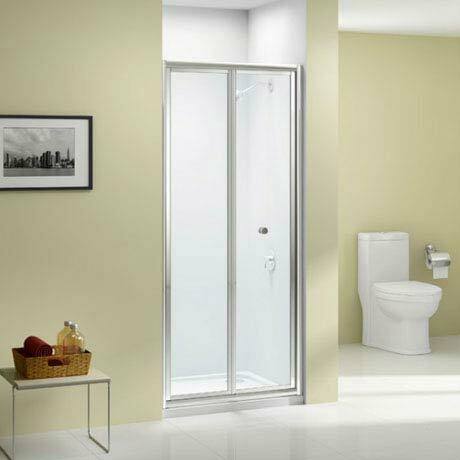 The Ionic Source Bifold Shower Door is from an exciting range of affordable shower enclosures created by Merlyn. The door features 4mm thick toughened safety glass, pre-assembled frame, height of 1850mm, magnetic seals and a smooth inward opening action. An optional side panel is available for corner situations. Ionic Source has a fresh contemporary look and feel and will remain timeless for years to come. Easy to install. Door came on solid pallets which is good for protection but also makes for a lot of work to dismantle and dispose of - see if your delivery driver can help.